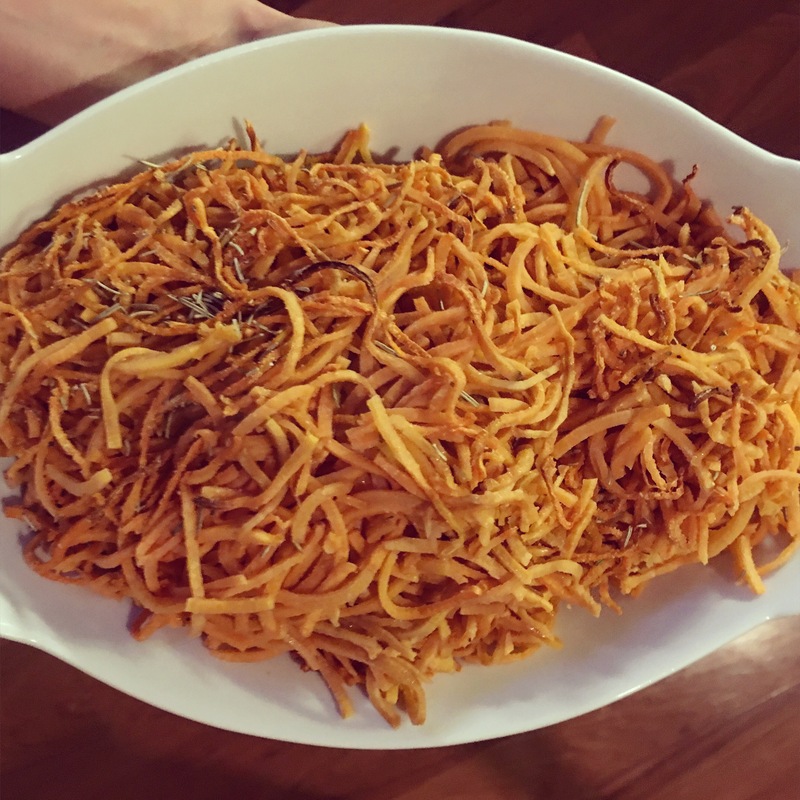 Whole Foods Market and Trader Joes now make spiralized sweet potato zoodles prepackaged and ready to cook, leaving no excuse to not jump on the zoodle bandwagon! Zoodles are the perfect healthy alternative to pasta and are super quick and easy to make. Any type of zoodle can either be sautéed or roasted in the oven; I tend to roast them in the oven so I have an easier clean up! Serve with sliced avocado for the perfect side dish or top with additional roasted veggies and a protein of your choice for a full meal!